New Zealand Man asks Prime Minister to prove he’s not a reptilian Anunnaki Alien!!! LOL! !…Only A Kiwi would do this!!…. New Zealanders have the guts to ask straight up! 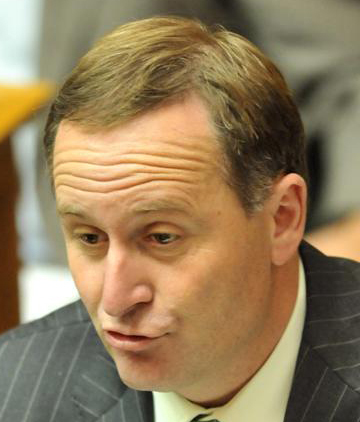 !…that’s just how we are..
Prime Minister John Key’s officials can’t find any paperwork that would suggest the country’s leader is actually a reptilian alien trying to enslave the human race. Last month, Auckland man Shane Warbrooke put in an Official Information Act (OIA) request to the prime minister’s office, asking for “any evidence to disprove the theory that Mr John Key is in fact a David Icke style shapeshifting reptilian alien ushering humanity towards enslavement”. David Icke is a British author who believes many world leaders are actually part of a plot to enslave the human race, driven by the reptilian Anunnaki race from the Draco Constellation. However, Mr Key’s chief of staff Wayne Eagleson has replied to Mr Warbrooke, saying that the OIA request was declined under a section of the act because “the document alleged to contain the information requested does not exist or cannot be found”. Mr Warbrooke, a writer and musician, says he put in the OIA request as a joke alongside some other more serious requests as part of his research into UFOs. 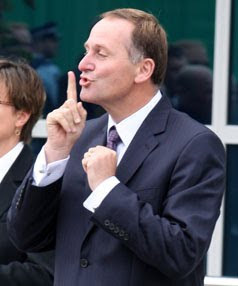 His only clue to suspect that Mr Key might be an alien was because he didn’t seem to interact with human beings like other humans did, he told NZ Newswire. He was happy with the OIA response, which was what he expected.